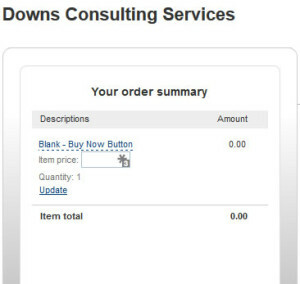 Most of Downs Consulting Services’ (DCS) customers buy block hours or put cash on the books. This keeps us from invoicing for each individual service so we offer our discounted block rates. The tax rate is 8.25% but Data Processing (e.g., websites) exempts 20%. Reimbursements & some services are non-taxable. Block rates are 10% lower than invoiced rates! Save money by purchasing block hours. 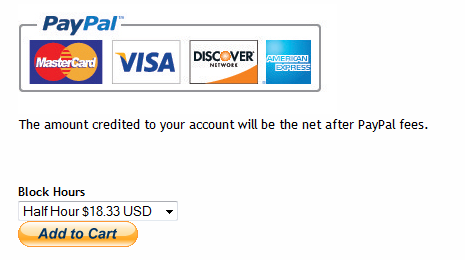 You are credited the net amount that PayPal puts in our account. Deposit $350 by check. There are no fees associated with a check but it takes longer to get into our account and get your project started. If a check is returned then we will add a fee of $30. Deposit $360.75 via PayPal or Credit Card to cover the PayPal fees. The net amount that we get from PayPal is credited to your account & we will draw from that as we spend time on your projects. Note that Sales Tax will be added as required by law. 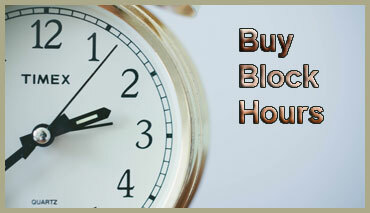 You can buy block hours (Add to Cart Drop Down) or use the calculator Buy Now Button on the block hours page. Let’s assume we want to deposit $360.75 in our account so we will have enough for 10 hours of web work. That will cover the PayPal fees. Please enter the item price you calculated & click update. You can use a credit card if you prefer. 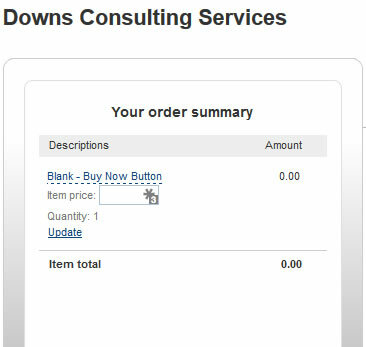 The Buy Now Button does not fill in the item price so enter the amount you calculated. Click update & login to PayPal. Here’s a example of how your money might be spent if you started with a net deposit of $373.10. In this example, the .61 hours of web work on 5-31 was taxed but the rest of the work was not. The rest was not since maintaining network services is not taxable.